After studying Gold and Silversmithing at RMIT University and establishing her own studio, Ali founded e.g.etal with Emma Goodsir in 1998. Although no longer a director of e.g.etal, Ali continues to show her jewellery through the gallery. With over 20 years experience in the field, she continues a thriving practice. Ali has previously taught at NMIT and has also run various workshops and seminars both independently and through e.g.etal, ranging from business advice for jewellers through to practical workshops in the Tiwi Islands with indigenous artists. 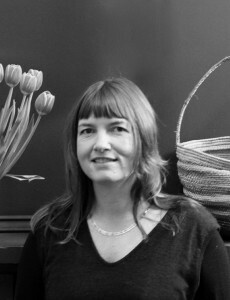 From 2002 to 2004 Ali served on the board of Craft Victoria. In the development of her contemporary jewellery Ali refers to three essential qualities: simplicity, proportion and beauty. She is also influenced by ancient or traditional techniques combined with urban references. 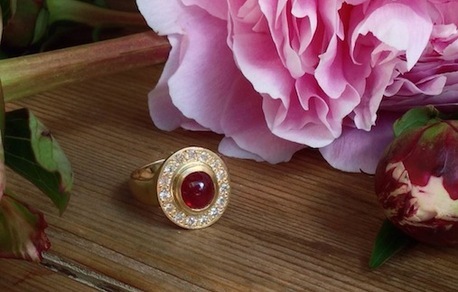 By using simple forms, classic proportions and beautiful materials she translates her ideas into wearable designs. 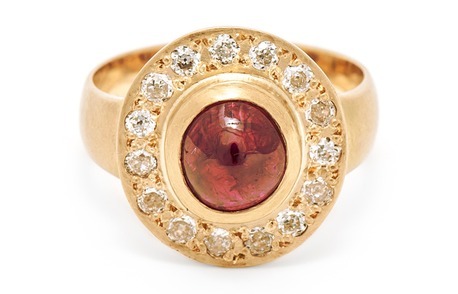 She works with materials valued for their beauty and strength—18ct yellow gold, diamonds, rubies, pearls and so on—relying on the wearer to imbue each piece with meaning. Ali Limb is currently working on her next collection. For enquiries or to be notified when her new work is released, please contact us.